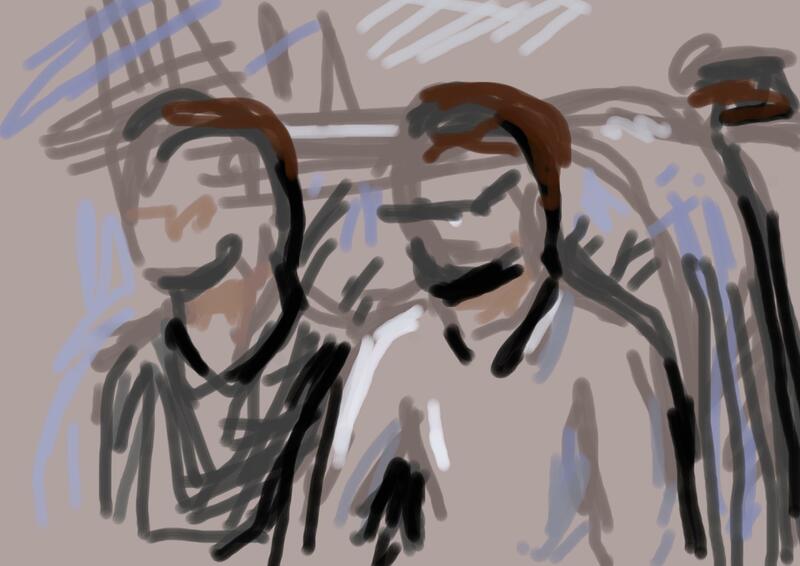 Well, folks, I’m surreptitiously drawing other people on the train. It’s funny because I’m trying to not look at them directly so they don’t know. 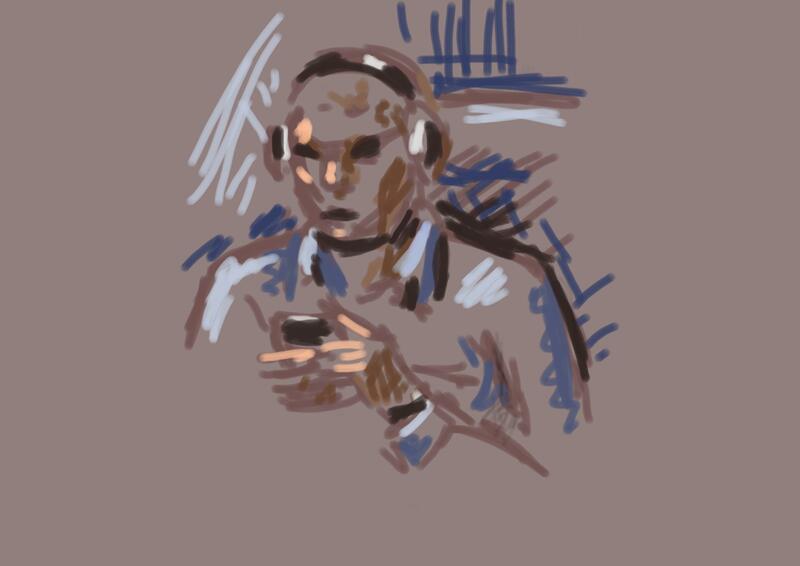 Man wearing headphones looking at his phone. Two men who look like brothers traveling together. 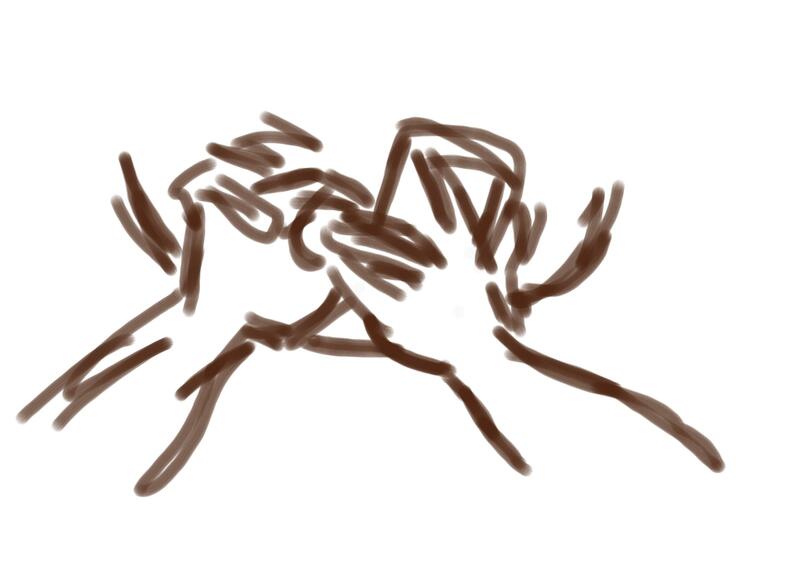 Hands of the woman sitting across from me texting.